Fasting can certainly lead to great weight loss results, but it sounds pretty hard, right? If you’re feeling stress, overwhelmed, or scared about fasting, worried that you may have to starve in order to lose weight, it’s time to kiss those worries goodbye. Dr Oz revealed how to fast in real life to get the weight loss results you desire, without going hungry. It’s called the mini fast and it involves small changes that garner huge results. You can see a real difference in just five days! Dr Oz welcomed nutritionist Dr Kellyann Petrucci, author of the “Bone Broth Diet,” to discuss the mini fast. 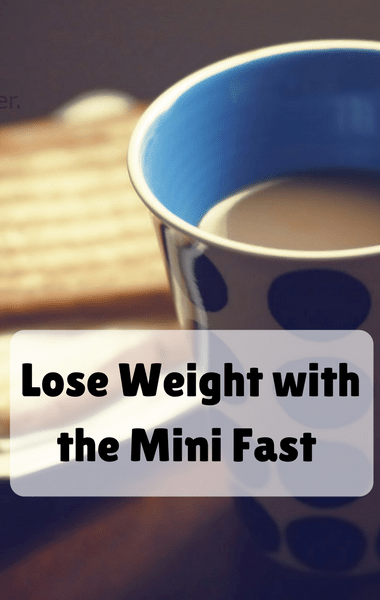 As Dr Kellyann explained, the mini fast is different than a regular fast because you can actually eat on a mini fast and you get the same results as you would a typical fast. The most important thing to remember is that it’s about fasting within a confined period of time. For the mini fast, you’re allowed to eat between 11 AM and 7 PM. That way you’re training your body to burn stored fat for fuel.